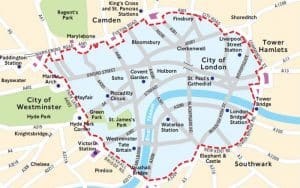 The Ultra Low Emission Zone (ULEZ) will replace the T-Charge from 8 April 2019. It will operate 24 hours a day, 7 days a week, every day of the year, within the same area as the current Congestion Charging Zone (CCZ). This means vehicles that do not meet the ULEZ standards will be charged for entering the ULEZ boundary (the current CCZ). For most vehicle types, including cars, motorcycles and vans (under 3.5 tonnes), there will be a £12.50 charge per day. Heavier vehicles, including HGVs (over 3.5 tonnes) and buses/coaches (over 5 tonnes) will be charged £100 per day. From 25 October 2021, the area will expand to the inner London area bounded by the North and South Circular roads. Are you meeting the ULEZ standards? You can check your vehicle requirements, charges and exemption on the Transport for London ‘Check your vehicle‘ tool. This tool helps you to work out whether your vehicle meets the ULEZ standards. Any vehicle that meets the ULEZ standards will be able to travel in the zone without paying the ULEZ charge. For more information, visit tfl.gov.uk.